Great news we are currently looking for a new honours student for 2016. The title of the project is “Developing novel biosensors to monitor DNA damage in cancer cells”. Its a very exciting new project incorporating cutting edge microscopy and fluorescent biosensors. If you think you have what it takes and are interested please feel free contact myself, or UNSW SoMS. Below is an example of the images that will be created during the project. 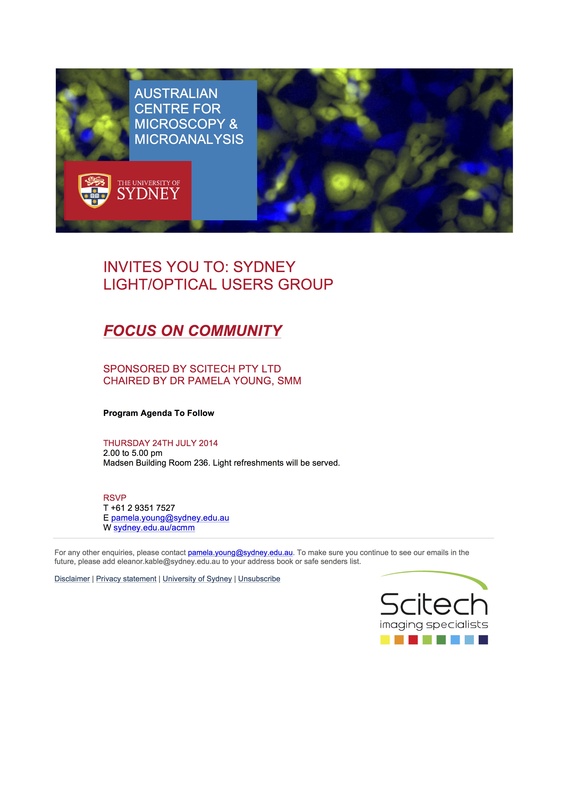 This entry was posted in News and tagged Cancer, Cell cycle, cell division, Chromobody, Confocal, Confocal imaging, DNA replication, Garvan, Garvan Institute, honours, Kinghorn Cancer, live cell imaging, microscopy, PhD, SoMS, SP8, student, UNSW. 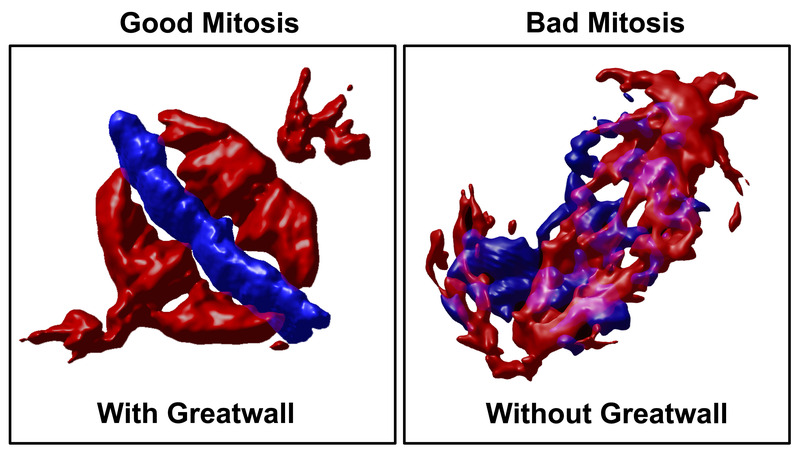 Here is a slide that I made and often use at the beginning of my talks to briefly explain what mitosis is. 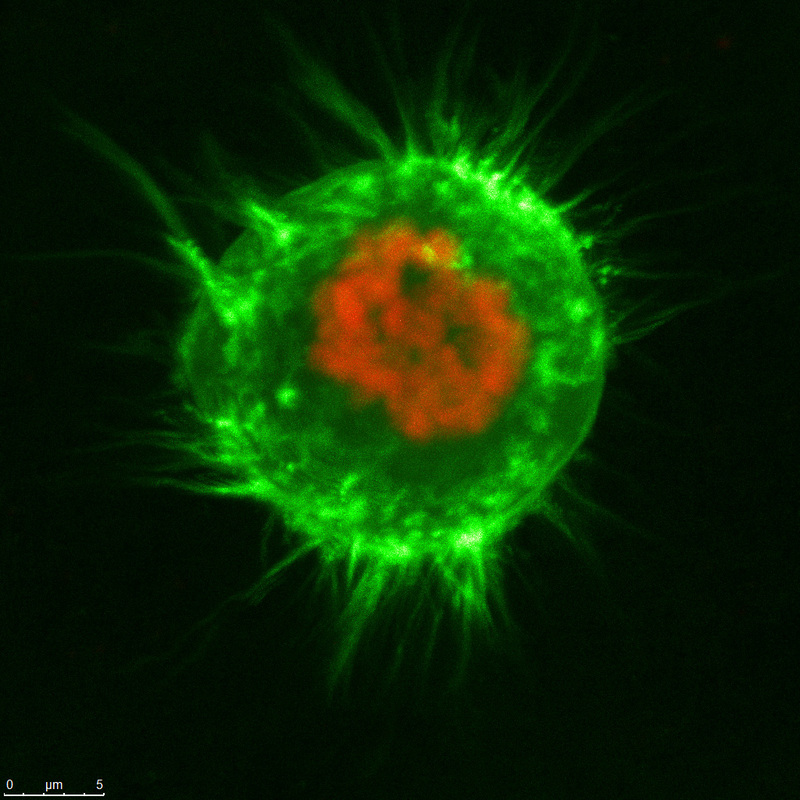 The images are taken from a live cell that we have labelled with fluorescent probes to highlight the DNA (red) and microtubules (green). This entry was posted in Images and Videos, Info and tagged anaphase, Cell cycle, cell division, Confocal, Confocal imaging, cytokinesis, DNA replication, Garvan, Leica, live cell imaging, microscope, microscopy, Mitosis, SP8. Vaa3D: New FREE open source software for 3D image analysis ! Great news for those who cannot afford the very price commercial alternatives for 3D analysis of microscope images. 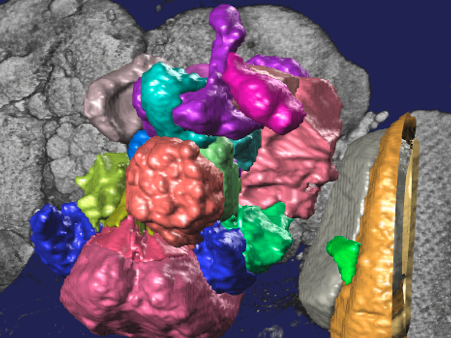 This entry was posted in Info, Protocols and tagged 3D, Cell cycle, cell division, Confocal, Confocal imaging, Leica, live cell imaging, microscope, microscopy, Vaa3D, Zeiss. 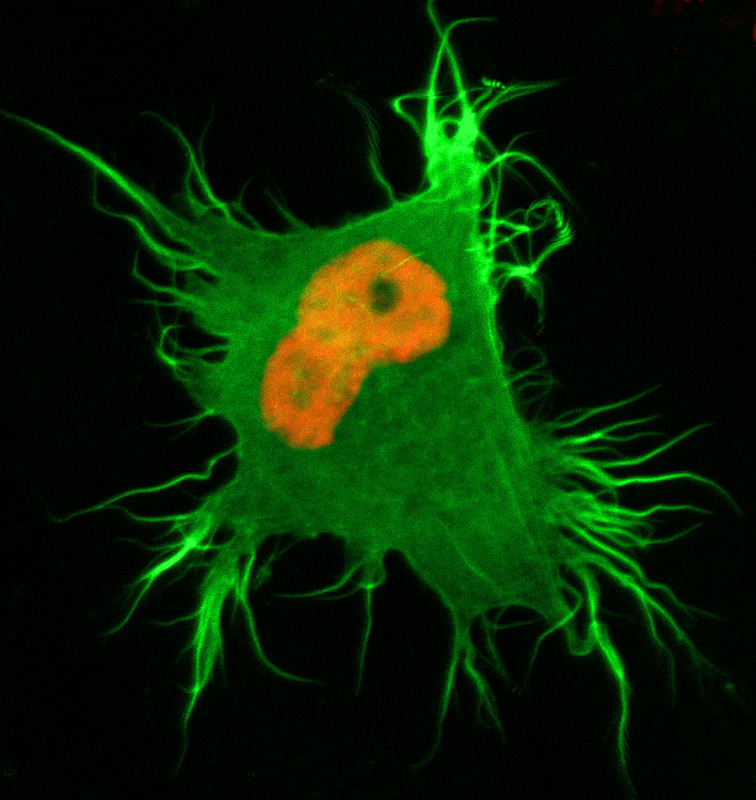 We have been busy constructing some new cell lines that stably express multiple fluorescently tagged proteins so that we can visualise different aspects of mitosis in real-time. The results have been stunningly beautiful. This entry was posted in Images and Videos, Info, News and tagged cancer cells, Confocal, H2B mCherry, HeLa, laser, Leica, Lifeact, live cell imaging, microscope, multi photon, Time-lapse, tubulin. Our lab now has its own Vimeo Channel where we will post videos and how to guides. This entry was posted in Images and Videos, Info, News and tagged anaphase, cell division, Confocal, FLIM, FRET, Lecia, live cell imaging, metaphase, microscope, microscopy, Mitosis, Movies, Vimeo, Zeiss.